There are 3 basic reasons why this blog has remained securely hidden in my head for the past 24 years. 1. Joseph Conrad put it best, "The horror! The horror!" I feel panic turning to hysteria just glancing at the orange PUBLISH POST button below. Publishing thoughts, that probably weren't well thought out to begin with, seems like madness. I'm just banking on my internal sensor being more honed than it was in the 3rd grade. I've reread those 3rd grade journals. Although they were funny, they were totally inappropriate and embarrassing. I'm hoping my sensor had not yet been created. 2. In those 3rd grade journals mentioned before, there are multiple typos. Multiple meaning 98% of all words written were misspelled. My 7th grade teacher assured our whole class that it wasn't our fault. We were the product of what the education department in Southern Idaho had labeled "the phonetic generation." She assured us that our elementary teachers had been instructed not to correct our spelling, but rather, to let us spell things as we thought they should be spelled. They forgot to inform us that the whole world wasn't participating in this new, free-spirited form of education. It was a rude awakening to find out that most words only had one way of spelling them. Phonics couldn't also be spelled foniks. Even though they have spell check, just knowing I would have to attempt to write words the "right" way wore me out. 3. I've never been a trend-setter. In fact, I usually hop on at the tail end, then wonder why everyone else is already getting off. I read this quote by Jon Stewart a few years ago. "You have to remember one thing about the will of the people. It wasn't that long ago that we were swept away by the Macarena." For the last few years, I've been a lot more cautious about even hopping on the trend at all. I haven't owned a pair of skinny jeans since 1991, and even that pair had zippers on the ankles so I didn't need my mom's help to get them off. I wrote my first text message six months and 13 days ago. And... I don't admit to listening to a song on repeat until I'm sure it isn't going to end up being a "Mambo #5" or "Who Let the Dogs Out?" type of song. In short, nothing will ever posses me to do the Macarena again. So please, please don't let this be the Macarena. Cali, the blogworld is much, much richer with you in it! I look forward to every post, edited or not. I also love your blog name. Cali, I LOVE LOVE LOVE your blog! I'm so glad you finally decided to do one...and I don't think it is the macarena, not even close. I also love your blog name! And the colors you chose. 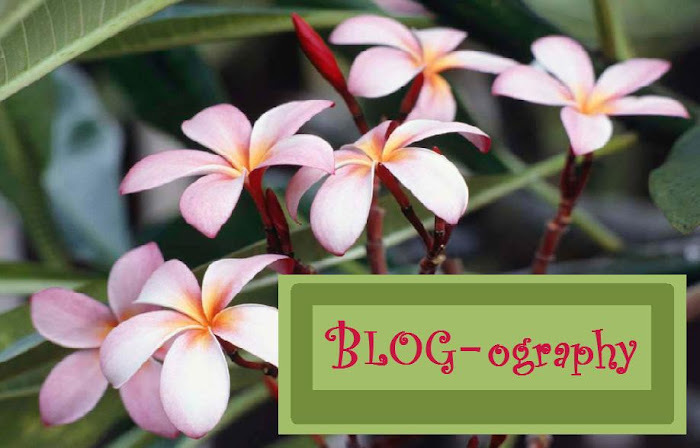 May I now refer to you as "Blog-ogripher"? I think I need a new nickname for you and that that one is a little more appropriate than the ones written on the garage door.